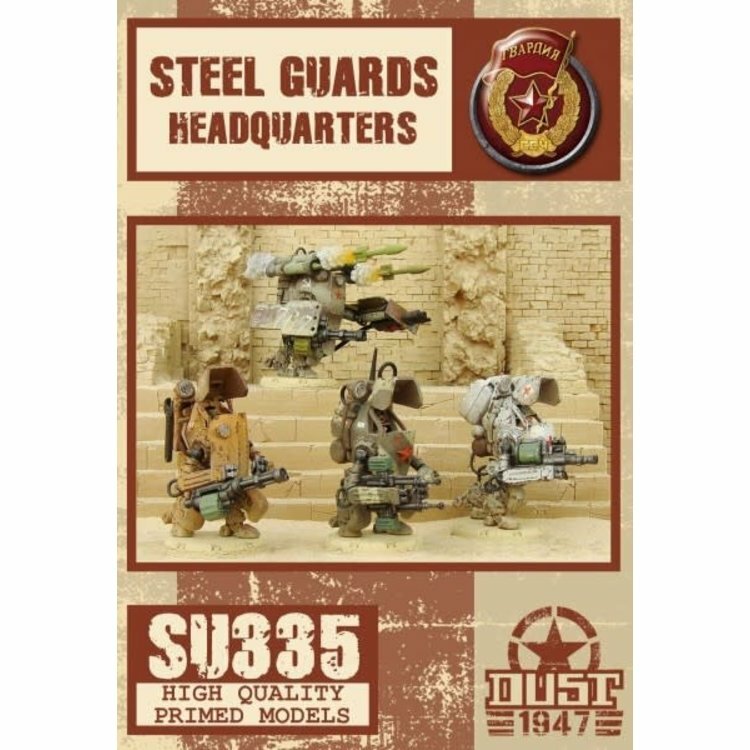 Officers of the Steel Guards Command Squad direct their comrades on the battlefield and are formidable warriors in their own right. They have seen and been through the worse, many times. There's nothing on the planet they can't handle. Steel Guards are some of the most formidable fighters on the planet. Their half-robotic bodies makes them very hard to kill, allowing them to gain incredible combat experience. And among them are a few that are even more formidable: Master Sergeant Guaï-Lo Moloï is one of them. The third human on the planet (and last one alive) to ever be encased in a Steel Guard armor, he has seen action in every part of the World. His armor has been heavily modified to his specifications, making him a fearsome sight on the battlefield. 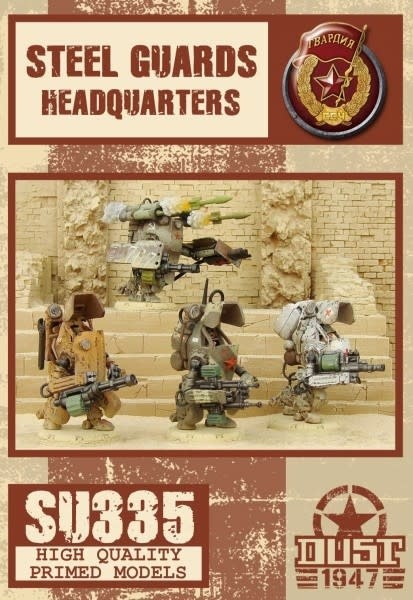 This Headquarters reference includes this Hero and this Command Squad. 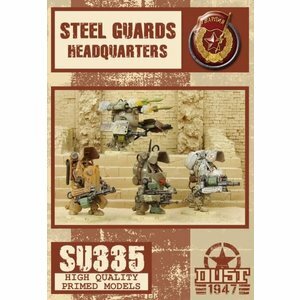 This item comes with two Dust 1947 Unit Cards, for the Guards Army Faction. Like all regular Dust 1947 miniatures, it comes already assembled and primed. It's ready for the battlefield, or for painting, as you wish! You can directly paint over on it, since the priming serves as an undercoat and is compatible with any type of paint.